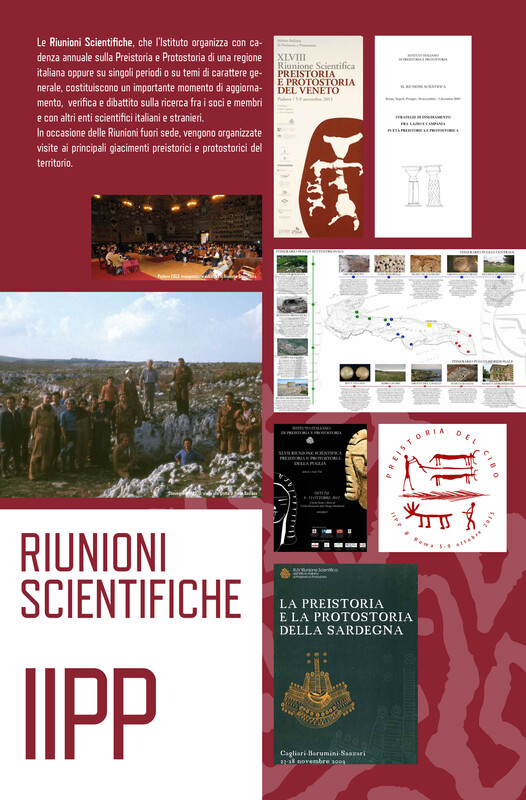 As set forth in the Articles of Association of the Italian Institute of Prehistory and Protohistory, membership of the IIPP is open to both Bodies (university departments, Heritage Commissions, museums, associations and cultural institutes) and to individual Italian and foreign scholars (Ordinary, Honorary or Emeritus Members) operating in the field of research, conservation and development of Italian prehistory and protohistory. Together they make up the Meeting of the Institute. 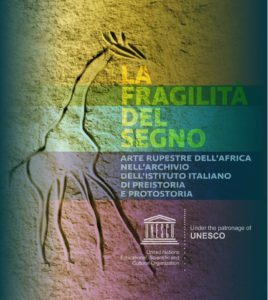 Italian and foreign scholars are entitled to become Collaborator Members during the period of their postgraduate professional training, as are scholars performing activities of research in the field of prehistoric and protohistoric sciences even in a non-continuative manner. The Correspondent Members are foreign scholars of established reputation who have contributed to the progress of prehistoric and protohistoric sciences. Where not otherwise specified, applications for membership accompanied by curriculum vitae, can be submitted directly by the interested party (in the case of Bodies by the legal representative who must at the same time indicate the name of the representative member) or by two Ordinary or Emeritus Members. The application will be appraised by the Board of Governors and then voted by the Meeting. Members are bound to pay a membership fee that is established annually by the Board of Governors. All paying Members are entitled to receive the journal Rivista di Scienze Preistoriche and are also entitled to discounts on all the publications of the Institute and other initiatives. b) University departments and Institutes engaged in the teaching of prehistoric or protohistoric archaeology or disciplines that contribute to knowledge of man’s most remote past. c) Legally-recognised research bodies or institutions specialised in the study of prehistory and protohistory or in disciplinary sectors that contribute to the progress of such disciplines. d) Museums of prehistory and protohistory or that include sections on prehistory and protohistory which are open to the public and have academically-qualified permanent staff and management. e) Associations, centres and institutes that are academically qualified in prehistoric or protohistoric disciplines or in other disciplines that are relevant for the purpose of the progress of pre/protohistoric research. Any application for membership made to the Institute by a Body is presented by the legal representative. The application will be appraised by the Board of Governors and then voted by the Meeting. Bodies must be represented at the Meeting by an Ordinary Member designated by the Body through formal nomination and with at least an annual mandate. 2. The ORDINARY MEMBERS (individuals) are Italian and foreign scholars who perform in an ongoing manner research or university teaching activities in the field of prehistoric or protohistoric sciences, or who are specialists in other disciplines that contribute to the progress of such sciences. a) University professors and researchers who teach prehistory and protohistory or perform other teaching that contributes to the progress of such disciplines. b) University researchers and university technical staff working in the field of prehistory or protohistory or in other disciplines that contribute to the progress of such sciences. c) Academic technical staff of the Heritage Commissions with a degree in archaeological disciplines who perform activities in the field of prehistory or protohistory. d) Researchers employed by institutions of the kind mentioned in paragraph c) above who perform activities prevalently in the field of prehistory or protohistory, or who contribute to the progress of prehistoric or protohistoric sciences. e) Directors, curators or other academically-qualified staff employed by museums of a prehistoric or protohistoric nature or who perform prevalently activity in this field or that is aimed at the progress of such sciences. f) Public sector employees engaged in the documentation, conservation and development of the cultural heritage representing evidence of prehistory or protohistory, with university education in the field of prehistory or protohistory. g) Scholars who do not fall into any of the previous categories but are in possession of a master’s degree under the old (4 year) or new (3+2 year) system and who can document through their curriculum vitae at least five years’ highly-qualified experience in the field of prehistoric and protohistoric disciplines. Such scholars can apply for membership only subject to presentation by two Ordinary or Emeritus Members. 3. The EMERITUS MEMBERS of the Institute are scholars of the categories indicated in paragraph 2) following retirement or in any case over the age of 75. 4. The HONORARY MEMBERS of the Institute are Bodies and individuals who contribute to the achievement of the aims of the Institute with financial or moral support: their nomination is voted by the Meeting on the proposal of the Board of Governors. 5. 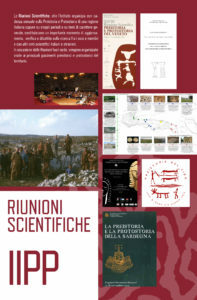 The COLLABORATOR MEMBERS of the Institute are Italian and foreign scholars during the period of their postgraduate professional training and those who perform activities of research in the field of prehistoric and protohistoric sciences, even in a non-continuative manner but with academically significant results, or research in other sectors which nevertheless contributes to progress in the aforesaid disciplines. Applications for membership must be submitted by the interested party and by two Ordinary or Emeritus Members. The application will be appraised by the Board of Governors and then voted by the Meeting. 6. The CORRESPONDENT MEMBERS of the Institute are foreign scholars of established reputation, who have contributed to the progress of prehistoric and protohistoric sciences. The application, proposed by not less than five Ordinary or Emeritus Members, will be appraised by the Board of Governors and then voted by the Meeting.